Time to sell your Romar Beach condo? Read about today's resort-market buyer. 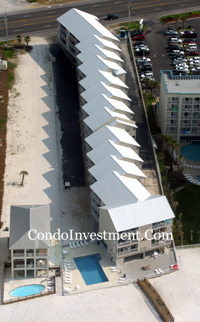 Romar Beach condominium complex is located east of the Gulf State Park in Orange Beach, Alabama. It is a 3-story, wood-framed building with 44 total units. Each of the condos are two-bedroom/two-bathroom units and approximately 850 square feet in size. 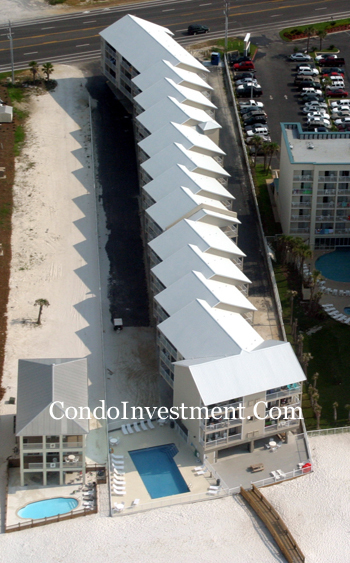 The complex is located on the gulf side of the road, and each of the units offer either a direct view of the Gulf of Mexico and beaches or an indirect (side) view. Romar Beach is an entry-level complex for those investors or second home buyers looking to be on the beach without spending too much money. Prices start in the mid $100,000 price range. The property is fenced in and offers an outdoor pool and barbeque area. Owners are also allowed to have pets. Please let us know if you would like further info for Romar Beach or any other condos, homes, or real estate along the Gulf Coast or would like to schedule a private viewing by emailing info@condoinvestment.com or by calling 251-Area-Pro (251-273-2776) for immediate assistance. RENTAL TIPS to increase your Romar Beach rental revenue. View annual revenue data for Romar Beach and all other Orange Beach & Gulf Shores condos.